We know that last year during the presidential campaign, WikiLeaks released damning messages from John Podesta’s email account, painting a nefarious picture of the Democratic Party’s operations. While the debate rages on regarding the motivations of the release, the information in the emails detailed the dark underbelly of the Democratic Party’s establishment wing. Now, as President Trump and his team face allegations of secret ties to the Russian government, a new look at the Podesta emails shows that the former Counsel to Obama and chairman of Hillary Clinton’s presidential campaign may have had his own illicit relationship with the Kremlin. Amid all of the rhetoric of the 2016 election, it was reported in October that Podesta did not disclose the value or transfer of 75,000 shares of Joule Unlimited Technologies stock when he went to work for the Obama administration. In 2011, Podesta joined the board of Joule and received 100,000 shares worth of stock options. When he resigned from the board in January 2014, Joule issued him 75,000 shares of stock, as he was ¾ vested. Podesta transferred 33,693 shares of that stock to a LLC named Leonidio, with the remaining shares being unaccounted for. Leonidio was formed in December of 2013 listing Podesta’s daughter’s address and his parents as owners. When Podesta joined the White House, he was required to fill out a 278 form for financial disclosures. The form mandates that a government official, “report any purchase, sale or exchange by you, your spouse, or dependent children…of any property, stocks, bonds, commodity futures and other securities when the amount of the transaction exceeded $1,000.” The form covered all of 2013 and the beginning of 2014 up to the filing of the form. Podesta lists that he divested assets from Joule on his form, but marked them as having no value. While the value of Joule shares is not publicly available, another email revealed in the WikiLeaks dump shows that the stocks moved to Leonidio were worth $139,328. The emails also detailed that his daughter, mother, and father would each claim 1/3 of the money on their taxes. To make matters more intriguing, the Russian state-funded investment firm, Rusnano invested $35 million into Joule, just two months after Podesta came on board. Senior Russian officials and businessmen with ties to Putin served on Joule’s board along with Podesta. It is not illegal that Podesta sat on the board of a company backed by Russia, or that he sat on that board with Russian officials. It is also not illegal for him to have been issued stock by that company. However, it is illegal for him to have falsified his 278 form, but that usually only carries a slap on the wrist. What is most concerning is that Podesta is continuing to push the Russiagate story, without acknowledging his own Russian ties. The fact that he hid the Joule transactions is extremely suspicious. 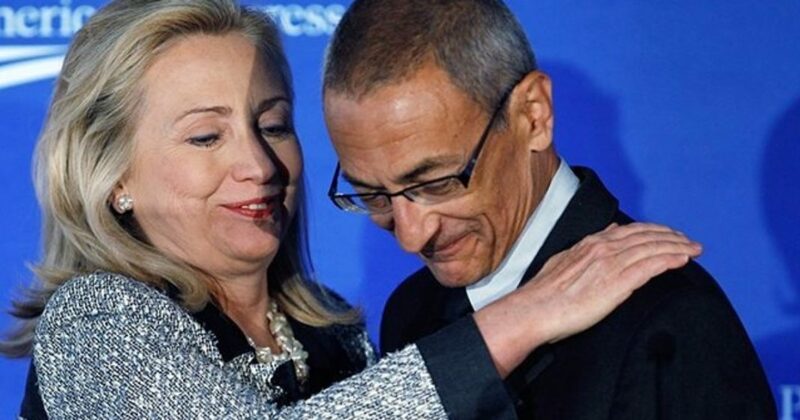 So it is incredibly hypocritical for Podesta to continue to blame his candidate’s loss on some clandestine effort by Russia to prop up Donald Trump while he wags his finger at the media over their coverage. All the while, Podesta’s own ties to Russia were handled with kid gloves by the press. It is worth noting that Podesta is now a columnist for The Washington Post. This is why we continue to have conflicting stories from the media and even from our government regarding the Russian involvement in the election. Everyone involved in the investigation has an agenda that goes well behind uncovering the truth. If we look hard enough, we’ll find that the Democrats have just as much to hide as Trump’s campaign when it comes to Russia. It is just another tool to distract from the establishment’s loss in November and their lack of a plan to win in 2018.